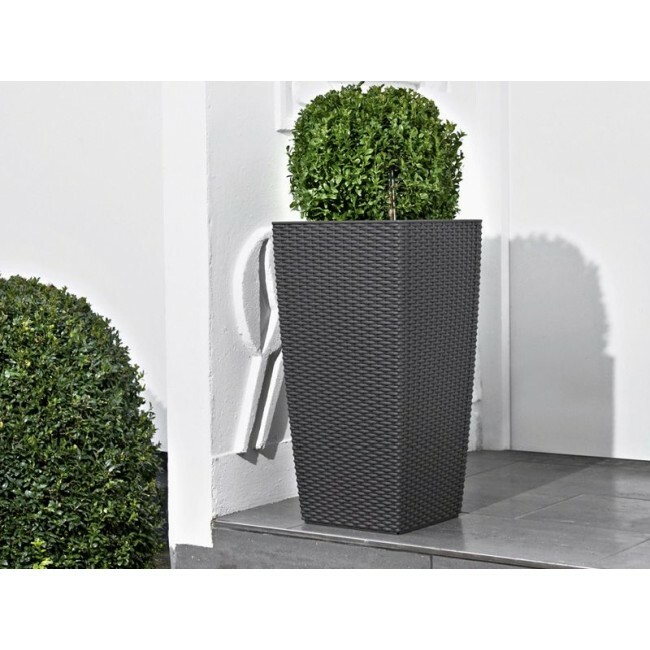 The Lechuza Cottage Cubico perfectly combines a beautiful column planter with the ever popular Cubico silhouette. 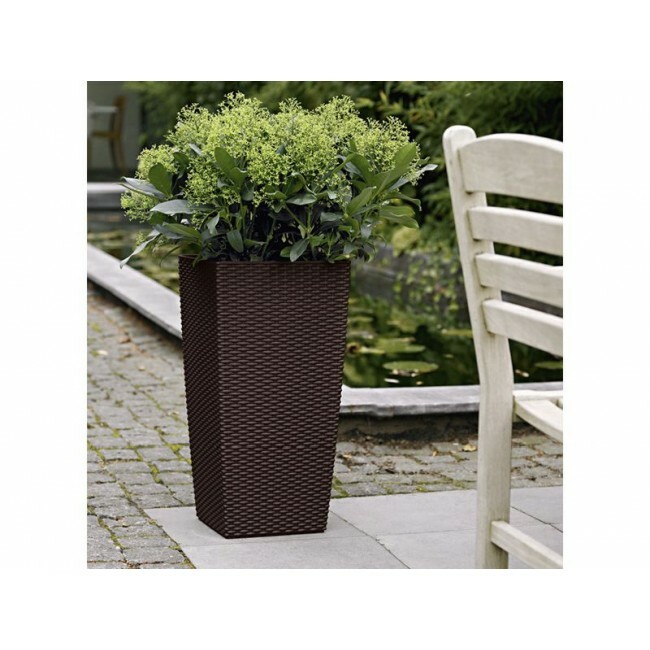 This stunning outdoor planter is manufactured using a commerical quality polypropylene material and has a wicker appearance. 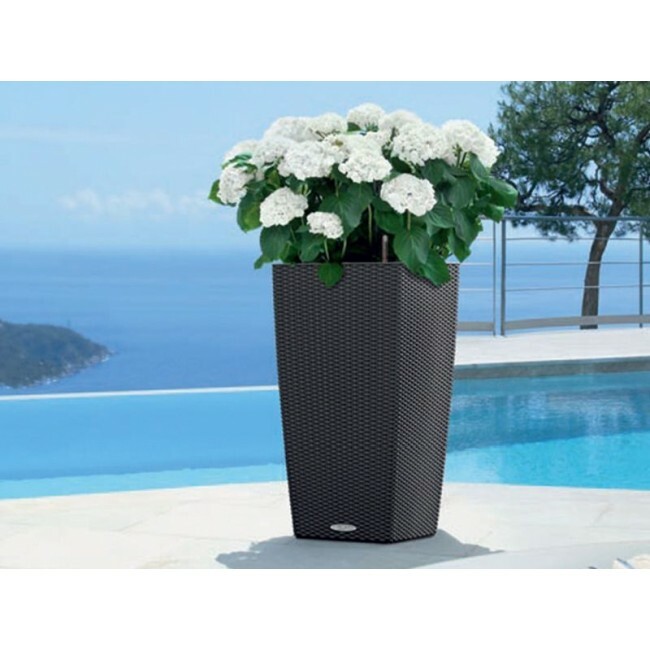 It is crafted to withstand direct sunlight in the summer and frost and cold tempuratures in the winter. 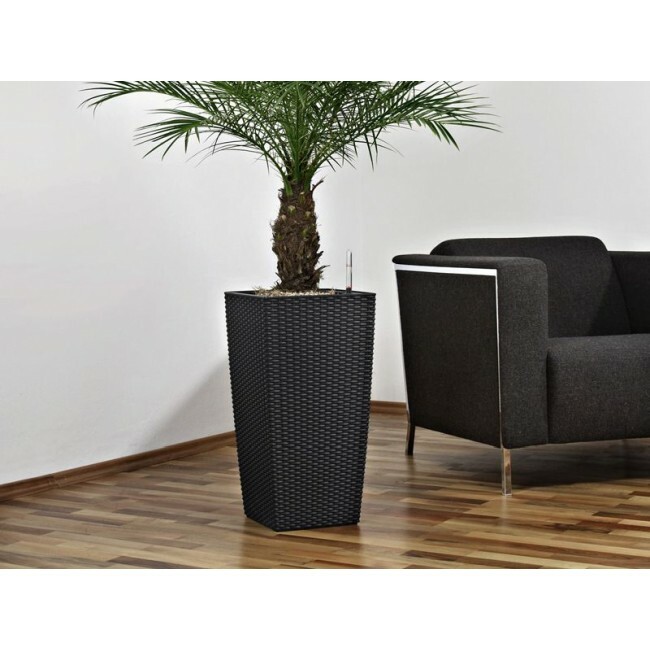 The Cottage Cubico will add style and refinement to any outdoor lawn and landscaping project. 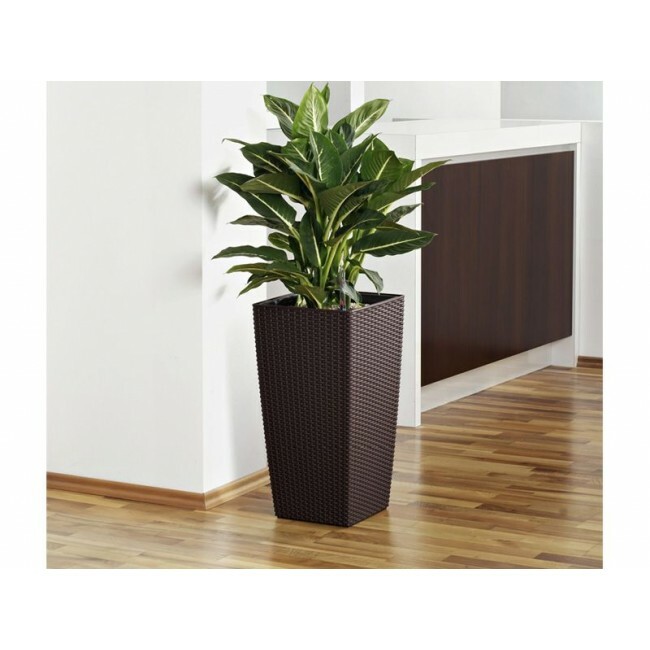 This tall outdoor planter is an attractive addition to patios, balconies, gardens, porches, and deck landscapes. 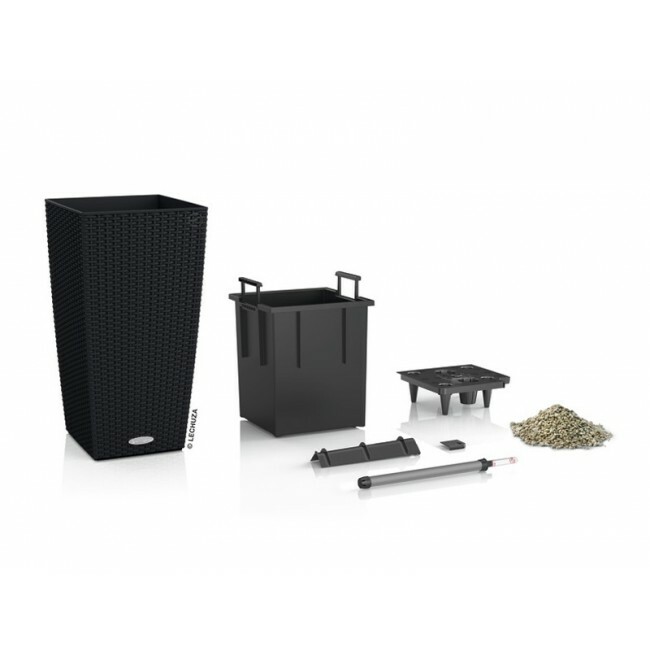 Enjoy the ease of the self-watering system. 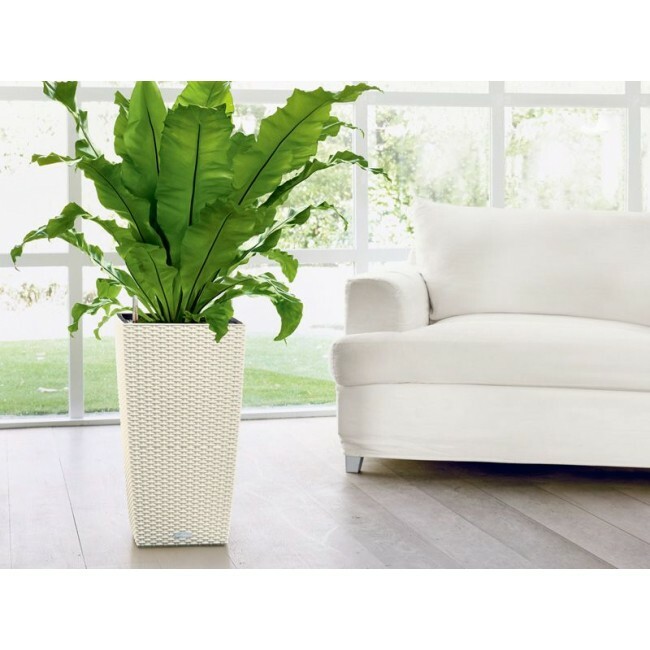 Watch your favorite plants and flowers flourish as the sub-irrigation system dependably supplies your foliage with just the right amount of water. 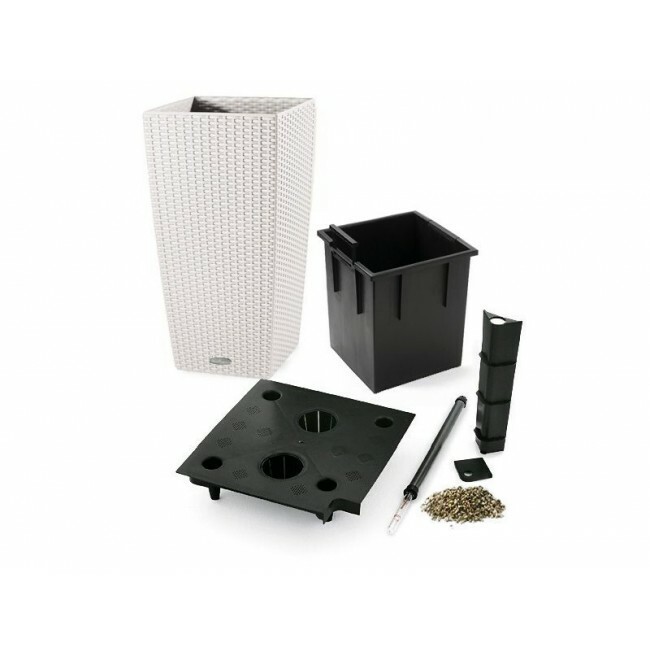 The clever water level indicator ensures complete watering control for up to 12 weeks and lets you know when it is time to refill the water reservoir. 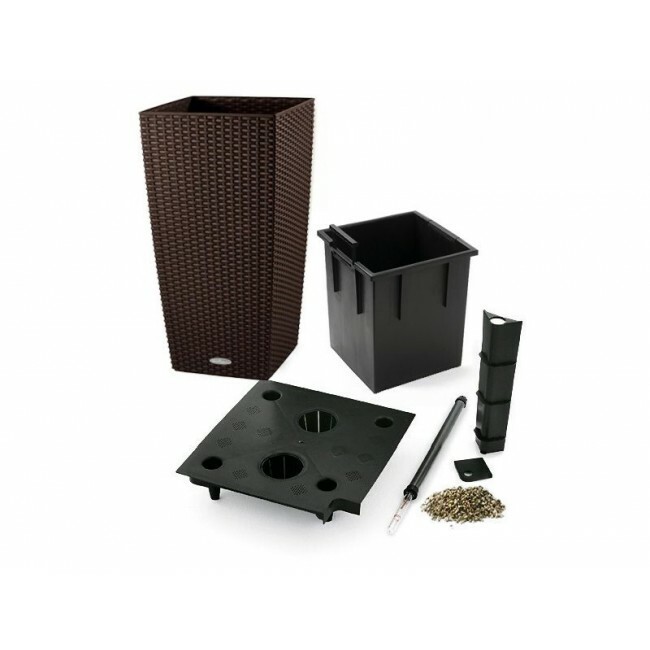 The Cottage Cubico comes with a plant liner with built-in recessed handles that lift your plant to the top of this tall container. Even the shortest of plants can be displayed elegantly with the Cubico. 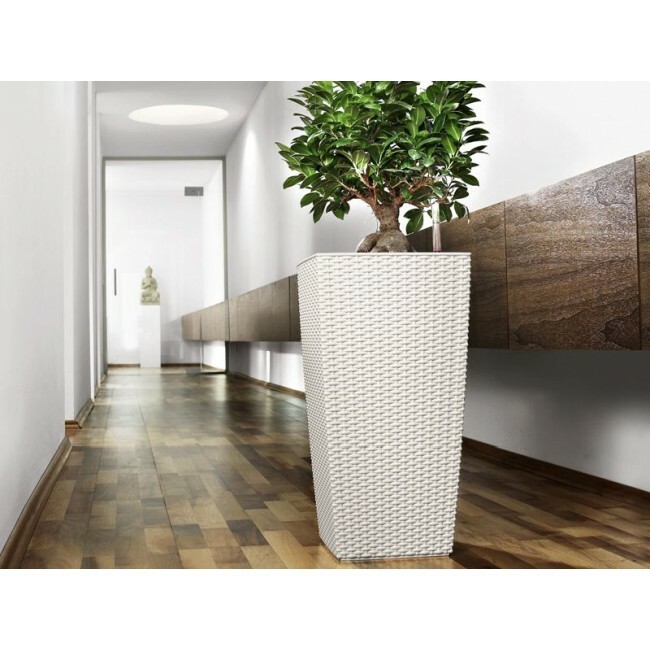 This gorgeous pot is completely watertight and will not tip over due to its design, making it an ideal choice for interiorscaping plans as well.